Fundraising Drive is On! Donate Now! Invest in KZYX, invest in your community. Make a donation today to support local independent media! Donate online or call (707) 895-2233 now! KZYX Fall Drive Raises $90,000, Far Surpassing Goal! A Big Thanks To All Members! Thanks to everyone who contributed to the overwhelming success of our KZYX Fall Fund Drive! Together, we not only met our $70,000 goal -- we exceeded it by more than $20,000! With a drive total of $90,130 at noon on Saturday, and calls still coming in, it's clear that KZYX is an important resource for the communities of our area. We will move forward with our plans to Be All We Can Be, inspired by your strong show of support. We will continue to be with you every day offering more diversity in news, music, and cultural programming than anyone else. 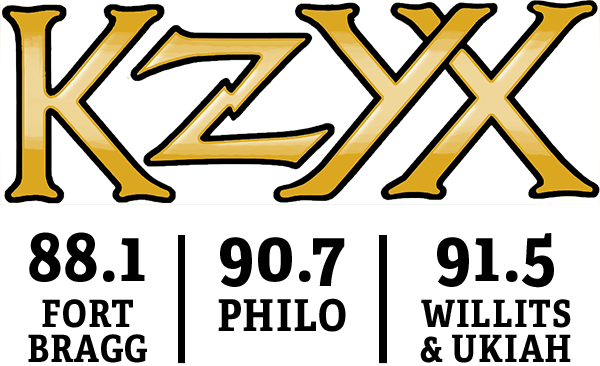 The membership of KZYX has voted overwhelmingly to approve bylaw changes designed to strengthen board governance and effectiveness by reducing the frequency of board elections to every other year from annually and extending the term of board members to four years from three. Independent tabulator P.J. Nielsen reported that 705 members voted yes to the changes, or 95.5 percent of the vote, while 33 or 4.5 percent voted no. There was one spoiled ballot and several that stated no preference. Only ballots received in Ms Nielsen’s Post Office box by 31 October were counted. War Of The Worlds Audio Here!